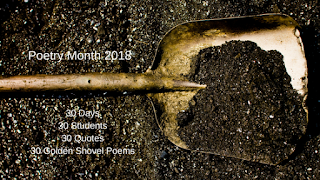 This golden shovel so aptly reflects the quote that inspires it. So true. Has springtime come to your neck of the woods? Not here...yet. Even the skunk cabbages have stayed underground. Love the witty "short" line. Oh, this works so nicely just now.